Auditing & reporting that makes sense. Take an in-depth look at your organisation. Important financial reports about ticket sales, event audit, and more are always accurate and available 24/7. Powerful and Customisable Reporting Tools. 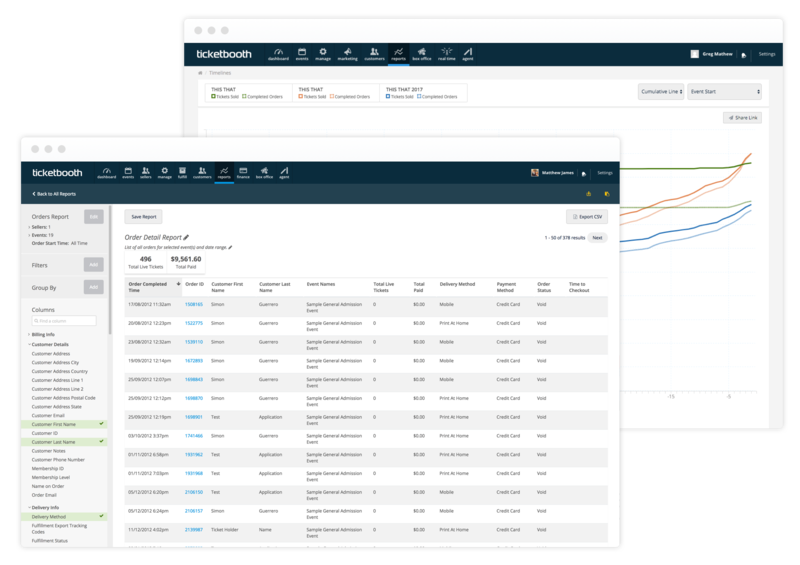 Ticketbooth empowers your marketing and event strategies with a wealth of reporting data that your marketing team is going to love, whether it be live reports or drilling down into affiliate network sales. Want reports tailored to your needs? Our custom report builder allows you to specify sales information and then save it for future use. Download the free Ticketbooth real-time app to see your sales from anywhere. Real-Time gives you real-time sales data on you iOS device. 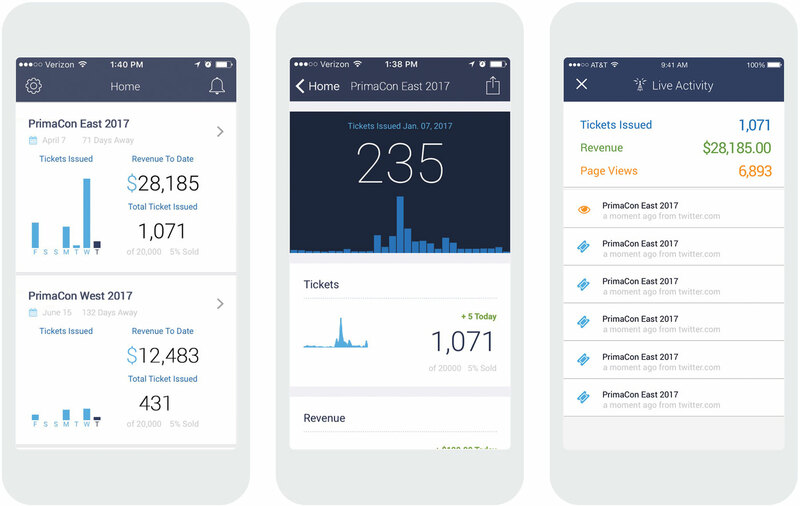 Compare sales across multiple events, from various marketing sources and watch a live sales feed as your ticket sales take place. Use scheduled reporting to keep all members of your team informed and up-to-date with the event information. Schedule and send a daily email with all ticket sales information for each of your events. Send a daily snapshot of all tickets processed on your account within the previous 24 hours. With so much under the ticketing admin hood we felt need to develop Ticketing’s ‘favourites’ tool which allows you to save shortcuts of the features and data you care most about to your dashboard. Now you and your team can see exactly how you’re tracking with what matters most.